Custodian of the Two Holy Mosques King Salman held talks with Omani Deputy Premier for Cabinet Affairs Fahd bin Mahmoud Al-Saeed in Riyadh on Tuesday. They discussed major regional and international issues and explored prospects of expanding bilateral cooperation. 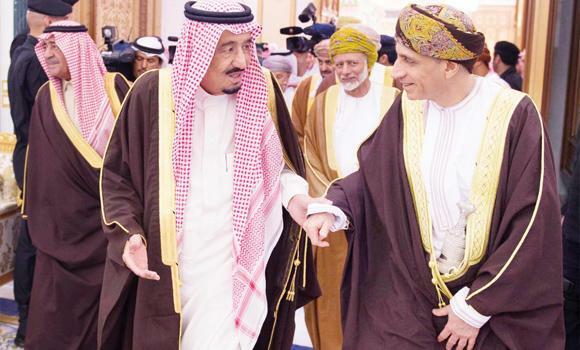 Al-Saeed conveyed the greetings of Sultan Qaboos to King Salman and expressed his happiness over visiting the Kingdom. Crown Prince Muqrin, deputy premier, and other senior officials attended the talks. Meanwhile, Jordan’s King Abdallah will arrive in Riyadh on Wednesday for talks with King Salman on major regional and international issues. US Secretary of State John Kerry said on Tuesday that he hoped to meet King Salman later this week. “I will be, hopefully, meeting with King Salman of Saudi Arabia…later this week,” Kerry told lawmakers. Meanwhile, King Salman will distribute the King Faisal Prize among its 2015 winners on Sunday. Which are Your Favorite Cities of Saudi Arabia?